Four nights. Four different locations. Four awesome expressions of worship that crossed denomination and built church community. Our Autumn 2018 Worship Tour saw us partner with Worship Central South West and hit the road. The worship tour was all about bringing the church together in unity to worship God, and over 600 people from 60 different churches joined us across Devon and Cornwall. Before each event, worship teams were invited to come together to pray, network and learn from the Worship Central team, creating opportunities for the local church to be resourced and equipped. We loved it so much that we’re already planning 2019! Watch this space! It has been a catalyst for us to gather and resource worship leaders in a fresh way that we believe makes a significant impact for churches. Love music? Want FREE training for your worship teams? Then don’t miss the Creation Fest School of Worship seminars. Run in partnership with Worship Central South West and Calvary Costa Mesa School of Worship. These seminars take place every afternoon during the festival. Suitable for anyone that has a heart for worship, this free training has to be the best value around! Make sure your church worship team know about it and come along! 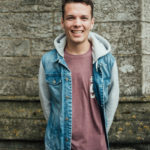 The South West School of Worship is a new 9-month programme developed to train and equip those involved in worship teams to more effectively serve the local church in Devon & Cornwall. The course has been specially designed to fit around busy schedules with training taking place in evenings and weekends.